Richard Vineyard (Stephen Moyer) takes his family for a camping trip to the New Jersey Pine Barrens. The trip is meant to bring his family, which includes his children and new wife closer together. It's also so that he can scatter the ashes of his father who took him camping there regularly as a boy. 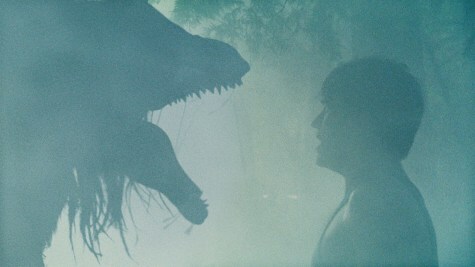 The Pine Barrens is also the home of the legendary cryptid, the Jersey Devil. As the camping trip progresses, bad things start to happen. Campers they've encountered go missing, Richard becomes ill and starts behaving erratically, hallucinating and becoming more and more violent. He's determined to protect his family from the monster, little realizing that he's becoming that monster. The Barrens (2012), thematically is very much like The Shining, as the father's mental condition deteriorates and puts the people he loves the most in jeopardy. It has an interesting script with a lot of tight story development, yet leaving a lot more questions than answers. There are brief flashbacks to Richard's own trauma as a boy in the Pine Barrens that is never fully fleshed out or tied in to the story as a whole, but which still heightens his anguished mental state. It's unusual to find a movie that feels confident about not explaining everything and trusting that it is unnecessary to do so, and in this case it works. The cast is good, especially Peter DaCunha as the Danny, the young son. The family dynamic is well done and realistic, especially the relationship between the teenage daughter (Allie MacDonald) and her stepmother (Mia Kirshner).